Filip "NEO" Kubski (born June 15, 1987) is a Polish professional Counter-Strike: Global Offensive player, and is considered one of the greatest Counter-Strike 1.6 players of all time. He was a part of the very successful Polish Golden Five lineup in 1.6. He's a two-time ESWC and Intel Extreme Masters champion. In Global Offensive, some of his notable wins are EMS Katowice 2014, ELEAGUE S1, and DH Las Vegas 2017 under the Virtus.pro banner. He was ranked the best player of 2011 and the best worldwide player of the decade by HLTV.org. He played with Virtus.pro for nearly 5 years before getting benched. Filip Kubski was born on June 15, 1987, in Poznań. His father, who competed for SPECNAZ, acquainted him with the original Counter-Strike. Together with his father, NEO started to play at local computer clubs and compete in tournaments. In the spring of 2004, players from the best Polish teams, SPECNAZ and Aristocracy, united to become Pentagram. Wiktor "Taz" Wojtas and Łukasz "LUq" Wnęk were members of Aristocracy. Alongside the team, NEO became the champion of the 2004 World Cyber Games: Poland and 2005 World Cyber Games: Poland. While playing for Pentagram, Kubski won SEC 2005, WSVG London, and became the champion of WCG in 2006. At that moment, his team was nicknamed the Golden Five. In 2007, Kubski and his team won the first ever Intel Extreme Masters tournament, and in the same year, the ESWC and the ENC. Following those achievements, he received two awards at The eSports Awards: "Best Esports Player of the Year" and "Best Counter-Strike Player of the Year". In 2007, the Polish squad stopped playing for Pentagram and moved across several organizations: Meet Your Makers, Vitriolic, and Wicked. Despite issues with funding in 2008, the squad won WEG e-Stars and ESWC, followed by WCG in 2009. For the third consecutive year, The eSports Awards recognized Kubski as the "Best Esports Player of the Year", and HLTV.org titled him “The Player of the Millennium”. At the beginning of 2010, Kubski’s team signed with Frag eXecutors and later attended WCG in October, where they placed third. NEO was the last world champion of World Cyber Games in 2011 and the Intel Extreme Masters VI. At the end of 2012, he moved to Counter-Strike’s latest iteration, Global Offensive. On January 25, 2014, with the roster being led by Kubski, was signed to the Russian organization, Virtus.pro. In March of that same year, Kubski won ESL’s EMS Katowice. In May 2016, Virtus.pro placed first at the StarLadder i-League Invitational #1 LAN finals and subsequently two more large events: E-LEAGUE Season 1 and DreamHack Bucharest. In Bucharest, HLTV.org honored NEO with an MVP Award for the tournament. 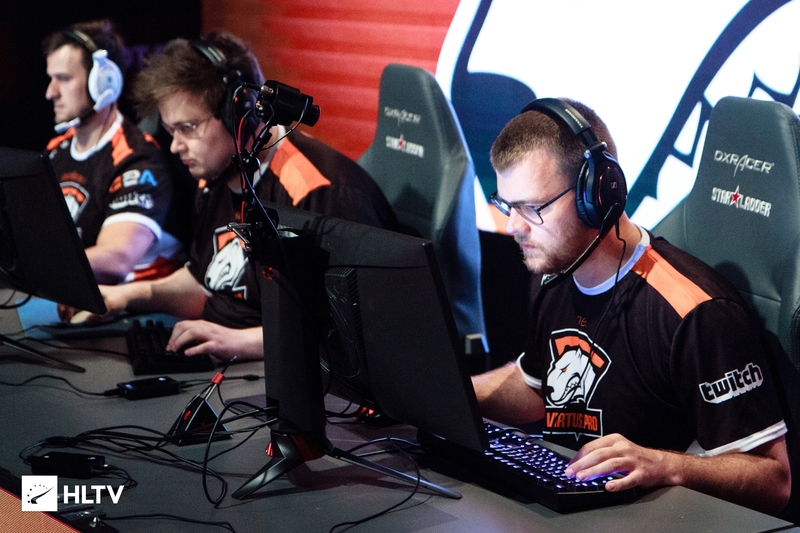 In the Fall, Virtus.pro placed second at ESL One: New York and EPICENTER: Moscow. 2017 started with a 3rd place finish in the WESG 2016: Finals for Virtus.pro. The team went on to claim second place in the ELEAGUE Major: Atlanta 2017, and win DreamHack Masters Las Vegas 2017. The Poles won Adrenaline Cyber League 2017, and placed 3-4 in the PGL Major Kraków 2017 in the Summer. After a brief period of poor results, the team claimed second place in EPICENTER 2017 and StarLadder i-League Invitational #2. Last updated on 2018-05-28 (323 days ago). The FK line of gaming mice by ZOWIE GEAR is named after his initials (Filip Kubski). The mouse was originally released in February 2013, and was created in cooperation with NEO. NEO is one of the few players to win three WCG series. Was voted the 7th best player of 2010 by HLTV.org. Was voted the best player of 2011 by HLTV.org. Was voted the 17th best player of 2015 by HLTV.org.